Erfurt, Capital of Thuringia, in Germany, dates back to 1700. The city's history is well-preserved in its medieval and Renaissance architecture. Besides being the capital of Thuringia, Erfurt is the largest city in the region, with the best preserved historical centre of Germany. One of the main attractions is the Krämerbrücke, the bridge of the merchants, the longest in Europe and completely covered with houses. Other points of interest are the Domberg hill with the Mariendom and the monastery where Martin Luther lived and worked (Severikirche). Other historical sites are the citadel Petersberg - in Baroque style, the Old Town Hall, Castle Molsdorf - venue for events and concerts, the Kaisersaal - the ancient imperial hall, and the Cathedral of St. Marine. The city is very green, with parks and gardens everywhere. 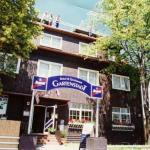 The most famous is the Egapark, with expositions of plants and butterflies, and a beautiful Japanese garden. In Erfurt, there are very particular museums, such as the Museum of folklore and popular culture of Thuringia (Museum für Thüringer Volkskunde), considered one of the most prestigious in the country with respect to the local culture; the Museum of Natural Science (Naturkundemuseum), in the city centre, within which there is an oak tree 350 years old; the Museum of electronics (Elektro Museum) and the Augustinian monastery (Augustinerkloster) in which, thanks to guided tours, you can see the places of study, work and prayers of Martin Luther and visit a historical library with more than 60 000 volumes. The historical centre of Erfurt is a pedestrian area: here are the main shopping streets, around the Anger square, with a succession of small shops and new and modern shopping malls. The Anger is the centre of the shopping, but there are handicraft shops located along the Krämerbrücke and Lange Brücke. On the Duomo Square there is an important food market where you can find the best products from all over Thuringia. Most hotels in Erfurt are located in the centre and along the major arteries leading to the suburbs, Krammpferstrasse, Weitergasse, Meinbergstasse. Apartment Erfordia awaits you just 12 minutes walk away from the Old Town of Erfurt, seat of the Cathedral and many restaurants and cafes. The central station of Erfurt is easily reached in 11 minutes by tram. Situated in a prime location in the heart of Erfurt, Pullman Erfurt Am Dom offers easy access to the city centre, just half a kilometer away, and the airport, located just 5 km away. 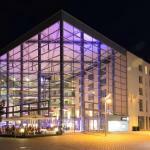 This charming four-star hotel welcomes you in the beautiful pedestrian area of Erfurt, a short distance from the bridge Krämerbrücke. Only 10 minutes away there is the train station of the city. 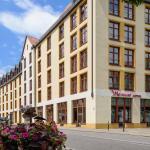 Within easy reach of the historic district of Erfurt, Pension Wegerich is a fine four-star hotel ideally located for exploring the sights of the city. 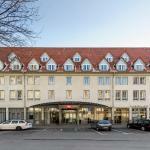 This pleasant two-star hotel is located near the church of Barfüßerkirche, near the main train station in Erfurt. From here you can easily make your way towards the old town and its shops. 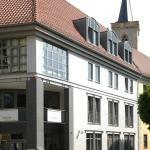 The Ramada Hotel Erfurt awaits you in the picturesque district of Linderbach, in Erfurt. 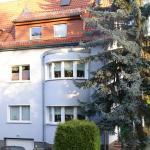 The property is located a few kilometers from the heart of the city and major tourist attractions. Hotel Wilna is a charming three-star family-run hotel located just outside the lovely town of Erfurt. The metro station Rieth is located near the structure, as well as the historical centre and the famous cathedral.